Do you sometimes find yourself imagining how you’ll fill your days once you no longer have to work? On the other hand, maybe you’re more concerned about what you’re going to do with all that free time. You might even fear that you’ll have nothing to do and be bored. To be sure, some downtime is good for you. Having some relaxation in each day is healthy, and you’ve earned it! But it’s easy to fall into the trap of thinking that you’ll spend hours every day doing that one thing you really love and don’t have enough time for now. For example, if you’re an avid golfer you might think to yourself, “When I’m retired, I can play golf every day!” Same thing with anything else – hiking, painting, sewing… you name it. I used to fantasize that retirement would be total leisure – I would just be able to do whatever fun thing I felt like that day, with hardly a care in the world. I used to think that I would spend all day with music playing in the house, enjoying my vast collection. Of course, my husband Jeff, who isn’t nearly as much of a jazz aficionado as I am, wouldn’t care so much for that. But the obvious reality is that spending all day, every day, listening to music would get old quickly. The best way to ensure that your retirement years are happy, healthy, and fulfilling is to achieve a balance in your activities. Ernie Zelinski, in his book How to Retire Happy, Wild, and Free, identifies four types of activities you should include in your life. While we may not be able to run marathons, play contact sports, or climb the highest mountains during our later years (although there are some 70-year-olds who can! ), there are still plenty of activities we can pursue to get some exercise and stay in shape – and we should! Walking, biking, hiking, swimming, tennis, golf, gym exercise, and many other recreational activities should be well within the reach of most of us. The health benefits of moderate exercise are obvious, but a side benefit is that all of these activities will get you out of the house. Turning into a couch potato will not only accelerate your physical decline, but your mental and social decline as well. Even though you may no longer need to learn things necessary to sustain your career or earn a living, there’s no reason not to continue to learn! Many seniors enroll in college courses just to learn about things they are interested in. Community college courses are inexpensive, and some universities offer seniors the opportunity to audit courses (attend for free without receiving course credit) if there are open seats in the course. And there are probably free or inexpensive workshops or lectures available somewhere in your community. Mental stimulation does not have to take place in a classroom. Art museums, history museums, theatre and concerts provide stimulation and cultural enrichment. Many of these may be available for free at local colleges. 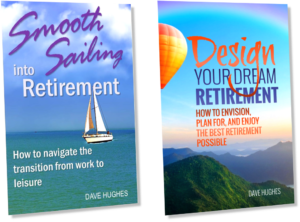 This topic is explored in greater depth in the book Design Your Dream Retirement. 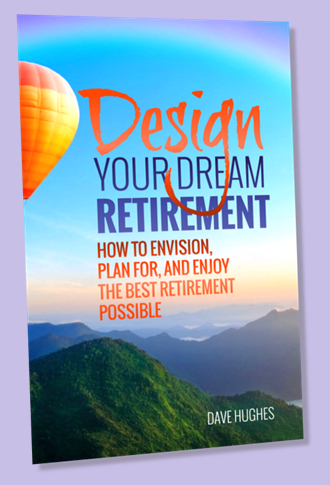 This book will show you how to visualize your retirement in an optimistic, possibility-filled light, and provide you with the knowledge and tools to help you create a plan for achieving your retirement dreams. You will learn how to fill your life with a balance of activities and pursuits to keep you happy, healthy, and fulfilled. Click here to learn more. During your working years, you probably have people around you all the time. Regardless of whether you consider these people to be friends or merely acquaintances, they serve as human contact. Even if you’re not close to your co-workers, you’d be surprised how much you will miss having contact with other people after you retire. It’s important to get out of the house and have some sort of social outlet. While my parents were retired, they belonged to a lunch group for seniors called New Dimensions. They met for a brown-bag lunch in a local church’s social hall on Tuesdays, and there would usually be a speaker or presentation of some sort – often by a local university professor. The topic didn’t particularly matter as long as it was interesting, but this activity provided both social interaction and intellectual stimulation. New Dimensions also took occasional tours, either to local destinations or to places like Europe. Volunteering is another great way to enjoy social interaction, while also doing some good in the community. If you volunteer as an usher at a local concert hall or a docent at a local museum, you also get cultural enrichment. Your post-working years may provide you with the best opportunity of your lifetime to do things that are fulfilling to you personally. Some of us are fortunate enough to have a job or career that gives us deep personal fulfillment. But for many people, our personal economic reality is such that the job which utilizes our skills and pays us a living wage is not necessarily one that provides us with personal reward. When you’re retired, you no longer have to sacrifice personal fulfillment to earn income. 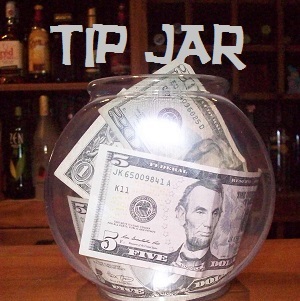 You might make your greatest contribution to your family, your community, or even the world by what you do during your retirement years. What does this look like for you? If you haven’t done so already, I recommend using the Retirement Visualization Guide to help identify the things you envision doing with your time during your retirement years. After you’ve brainstormed a list of activities, think about whether your list covers the four categories above with a balance that seems right for you. Even during your working years, you may have much less discretionary free time, but you will probably be happiest with a balanced mix of these four categories. ©2014 Dave Hughes. All rights reserved. 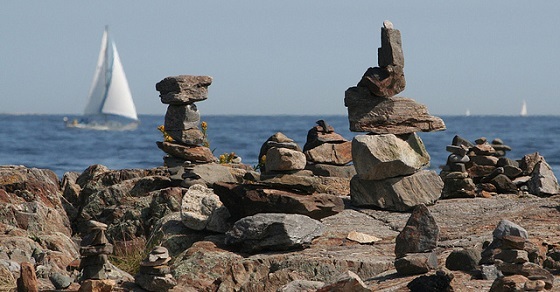 Balanced rocks and sailboat: Chrissy Wainwright Some rights reserved. 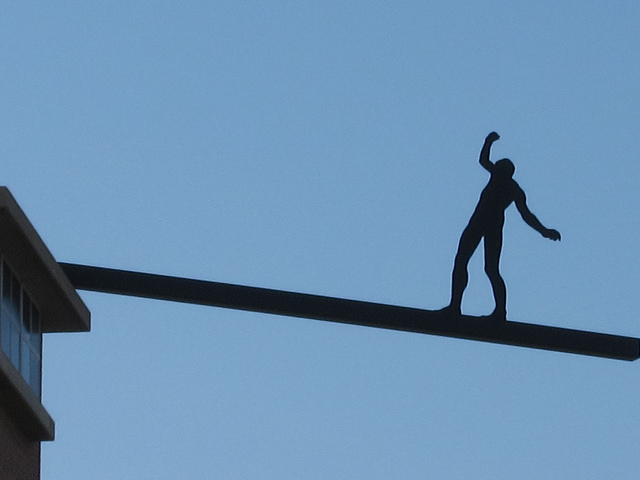 Man balancing on plank: Ellen K Some rights reserved. Glad to be aboard as I look forward to retirement in 3 years. As a single, gay man, I’m happy to report that I’ve got the financial aspects of my retirement virtually figured out. I remain concerned however about the qualitative aspects and find your blog helpful for just that reason.